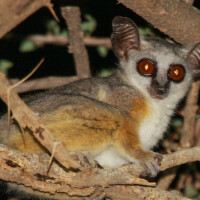 Africa harbours a great diversity of primates, most of which are endemic to the continent. 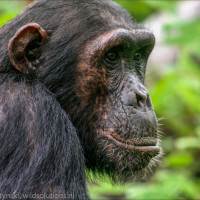 Of the 25 genera and 93 species of primate in Africa, Kenya has 12 genera, 19 species and 24 subspecies, and Tanzania has 14 genera, 27 species and 28 subspecies. 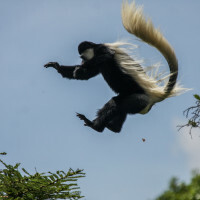 Although primates are one of the best studied taxonomic groups in East Africa, their biogeography, abundance, and conservation status remains poorly understood. Read the whole post on lolldaiga.com …. 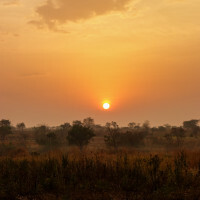 Knowing which animals live where is critical to planning effective conservation. 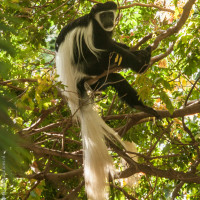 To help set up good programs in Uganda, we set out to confirm whether one particular subspecies of monkey, the Dodinga Hills guereza, was calling this country home. Here’s what we found. Read the whole post on the National Geographic Explorers Journal …. In our last blog post (Discoveries From Two Years With Kenya’s Warthogs) we provided an overview of the major findings of our Quest for Kenya’s Desert Warthog. Of course, we collected a considerable amount of information on other species as well. 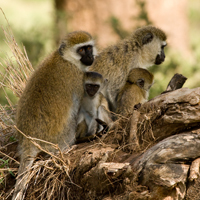 Here we present some of our findings about the primates of northwest Kenya. Read the whole post on the National Geographic Explorers Blog ….